According to this Article: Rafael Nadal parents Sebastien & Ana Maria are back together? I really hope this is true! 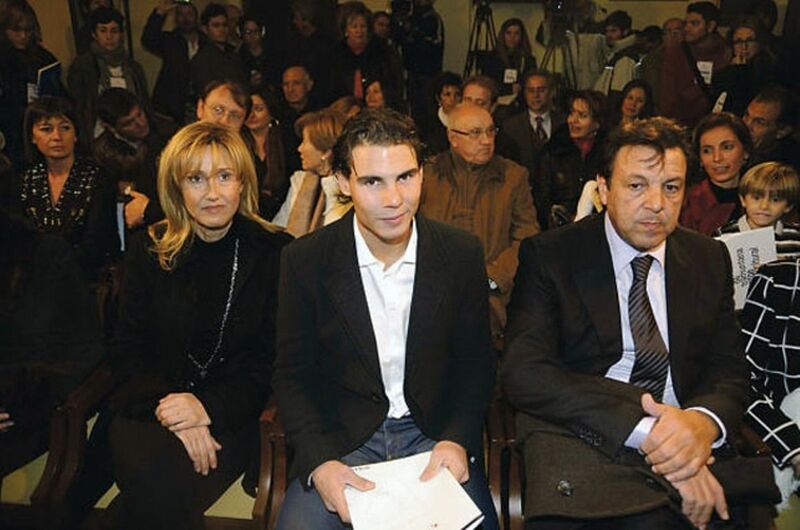 The parents of Rafael Nadal – Ana Maria and Sebastian – are back together after they separated two years ago. They appeared side by side in the Royal Box for Rafael’s opening-round win on Monday and an impeccable source has confirmed that they have indeed reunited. Their split before the 2009 French Open, when Rafael was upset by Robin Soderling in the round-of-16, had a devastating effect on him. In fact, a member of his inner circle once claimed that the break-up was a bigger factor in his loss to Soderling than the tendonitis problem he had in both knees, a problem that kept him out of tennis for two months. The good news can only have a positive effect on the world No. 1’s game going forward.